University of Southampton lecturer James Wilson and student nurses, with Barton Peveril’s Assistant Principal (Student Progress and Wellbeing) Nicola Carcone and students. 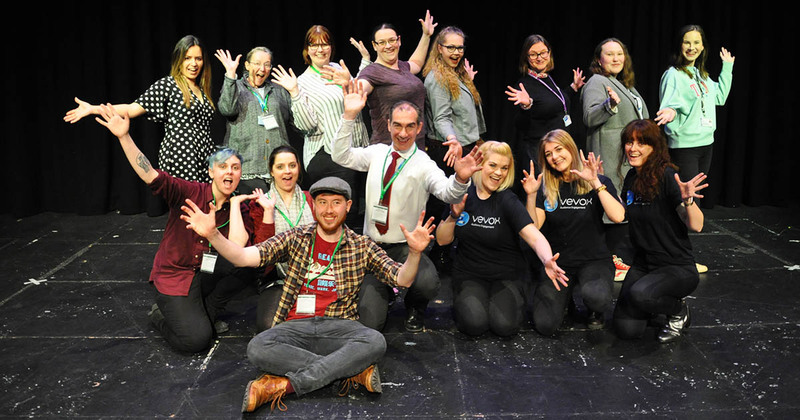 Barton Peveril students joined up with Nursing students from the University of Southampton for their new Interactive Theatre production, Finding Balance, which aims to explore and reduce exam stress. The production invites audience members to choose the main character’s actions, at several points in the play, using the Vevox app. The Nursing students then performed the production to a large audience of Barton Peveril students, in the College’s Rose Theatre. 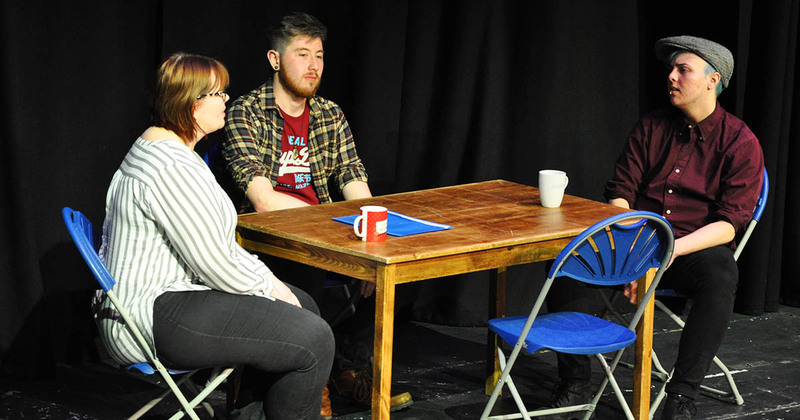 The production was performed by Nursing students from the University and devised by University Mental Health Lecturer James Wilson, who created the idea to teach his nursing students. Lecturer James Wilson has since won teaching awards and a fellowship for his creation. University of Southampton’s Nursing students performing in their production. For the sixth formers watching this gave an insight into what can cause anxiety around exam time, how it can escalate, how they can get support and how they can identify signs that their friends may also be struggling. For the nursing students it was an important part of their training in teenage mental health. You can listen to a full interview with James Wilson, Nicola Carcone and students on BBC Radio Solent here (begins at 36:16).